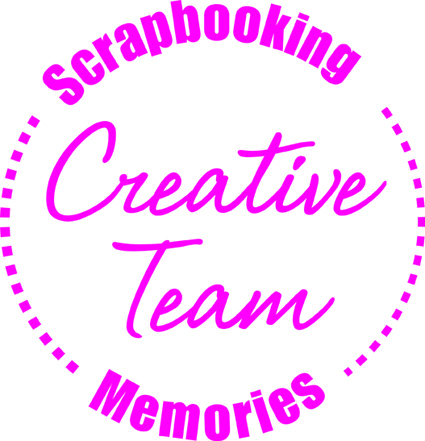 Bazzill Basics: National Scrapbook Day Blog Hop! Happy National Scrapbook Weekend! The Bazzill Basics design team is excited to celebrate with you! Today we want to share some inspiration to help kick off your weekend creativity! Start at the Bazzill Basics blog for maximum inspiration! Thank you for visiting my blog today! I am so grateful to have scrapbooking in my life! It has opened up many possibilities for me and most importantly has connected me to so many other women who share the same passion. From all over the world. Isn't that amazing about our community? We are united by our passion for creating and documenting memories and also pretty things. Earlier this year I travelled to the USA to attend the amazing CHA trade show. While there I stayed with the most amazing group of people. We all connected and talked and laughed and I feel like I've known them my whole life. The number of people I also saw at CHA after knowing them online was also quite surreal. It was such an awesome experience. I almost cannot put it into words. I'm grateful for each and every one of you! Today I want to share with you all an older layout that has been shared on the Bazzill Basics blog previously, but not on mine, and it is celebrating those connections. I decided to create a pie chart effect on my background, with 6 pieces of “pie”, one for each of the beautiful personalities in the photo. For two of the “slices” I used patterned paper (from Heidi Swapp’s September Skies collection) and then pulled out some Bazzill cardstock to match, for the other 4 slices. I used a different embossing folder for each colour of cardstock. I just love the effect! I ended up pulling colours from different Bazzill collections, that best suited the patterned paper. I also die cut and embossed a couple of accents from the gold foil cardstock, such as the butterfly in the photo above! Click on over to the next Bazzill Basics team member, Jennifer, to be inspired! Make sure to also enter our National Scrapbook Weekend Facebook Giveaway where you could win an awesome prize! Feel free to share your projects on our Facebook Page or to Instagram tagging us @bazzillbasicspaper #bazzillbasics ! 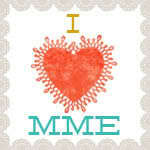 Pink Paislee: National Scrapbook Day Blog Hop! My children love, love, love to hear stories about when they were babies or little. I feel like this brings us even closer each time we remember. Whether they are looking through the album by themselves or with me or even just talking as I'm in the habit of remembering and re-telling stories. My children are reminded that they belong and are important: they are the star of their pages. Seriously. What child doesn't want all the attention! My children (well, the older ones) can express their selves creatively and already love to scrapbook and tell their own stories. I love this. My children know they are loved. Without a doubt. And if they ever need a reminder, they just need to pull down any scrapbook album and take a look. I'd love to share with you a layout I've created using the Pink Paislee Atlas collection. Right from the get-go I knew that even though this was a travel themed collection, it would be very versatile and would especially suit a few special photos of my middle son. The colours are quite diverse and the patterns are a great mix. I just love the travel tags in this collection! They all have fun phrases and some are detailed in silver foil! In fact, the phrases and words in the ephemera pack as well as the chipboard and puffy stickers are my fave! Phrases such as 'Right Now' and 'Let's Go' are just so versatile! I can never tire of stars or arrows as embellishments - especially for those sometimes tricky boy projects! This collection has plenty of both! Now, be sure to click over to the next Pink Paislee team member, Jennifer to be inspired! Make sure to also enter our National Scrapbook Weekend Facebook Giveaway where you could win this awesome prize! I just can't resist a good colour combination . . . especially when there's GOLD involved! Once again, I was inspired and created a layout using the Jot Magazine Mood Board (April) as my starting point! The Story | A great photo of my two biggest scrapbooking inspirations (and friends too). We had a wonderful couple of days together recently. How I Communicated The Story | I added journaling directly to the layout and also have a little glassine bag under the photo where I tucked a few extra journaling cards, because I had quite a bit to say! Laugh! Technique To Share | It's very hard to photograph, especially on a day when the lighting isn't that good but I have used a few of the new Heidi Swapp Minc goodies with the gold foil applied! I think I'm addicted to foiling . . . I've foiled a few die cuts that I've added to the layout. And below you can see the pocket in more detail, and some of the things I added in. The Story | My littlest man's first birthday, gorgeous pic of him and I wanted a layout to celebrate how happy he truly is. How I Communicated The Story | For my journaling, I looked up a thesaurus to find other words that also meant happy and would describe my sweet baby. Of course the repeating of the word 'happy' for the title also clues you in on the story! Technique To Share | I die cut the word happy five times from watercolour paper and then coloured each one with watercolour paint, creating the graduating colour effect. I think I'm getting a bit more arty in my scrapping . . . but of course in a neat and controlled way! Thanks for looking! So I kinda disappeared there for a bit . . . In fact, if you head over to the Bazzill blog here I actually list the colours I used! Easy peasy! It seems I'm actually creating Christmas cards this year! Woot! It's been a couple of years! For the first couple of cards below, I used a sketch. For my first example, I used the top section as a flap to fold over. And the second example, swapping out some of the embellishments etc. And finally, with the focus on the STUNNING foil board from Bazzill Basics, I created these two simple but stylish Christmas cards. Again, there are more details on the Bazzill blog post here. Ok, so I think I'm all caught up on my Bazzill projects! 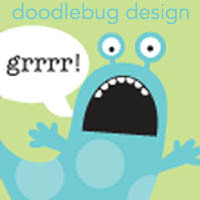 I'm loving creating so much - I just wish there was more time in the day! Oh - and possibly a bit more sleep to be had so I could stay awake for longer! Are you finding much time to create this busy December? I'm humbled and honoured to have been asked. And of course it goes without saying that I am EXCITED! Bazzill cardstock has been a staple of mine for almost my whole scrapbooking journey, probably about 13 years now! The team also has the opportunity to work with some other companies and I can't wait to show you what we've been cooking up! Be sure to bookmark the Bazzill Basics blog here as well as like them on Facebook and follow on Instagram for more inspiration. I'm really looking forward to next year as I get back into more scrapbooking and inspiring again. I've missed it this year, as I cut back a bit to focus on baby #3. But the wheels are already turning in my head as I think of some creative ideas I'd like to try next year. AND I'm also in the process of building a new blog for myself! Can't wait! I came across the idea of this manicure-in-a-jar on (you guessed it) Pinterest. In fact, there's a whole array of gifts-in-a-jar! I love this idea - it's quick and easy and of course, I can make it look cute as well! 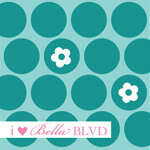 I love Pink Paislee's newest collection, Bella Rouge, and it was perfect for this project. You can read more details on the Pink Paislee blog here. And here's a closer look at the tag I created to match. Thanks for visiting and I'll be back soon with some exciting (scrappy) news! I stepped out of my comfort zone to create this layout! With a Halloween theme and no Halloween photos, I decided to scrap some photos of my bigger boy with dragon face painting! The Story | Face painting! He was so pleased with himself and he really surprised me with how patient he was waiting in line and deciding all by himself that he wanted to be a dragon! How I Communicated The Story | Apart from the title and journaling, all of the techniques I used to create texture on this layout were to back up the dragon theme. Photos | Taken with my iphone and edited using Photoshop Elements actions to "warm up" the colours to suit the paper collection. Technique or Tip To Share | Loads of texture on the background! I used a glitter gel through a stencil directly on the background, lots of distressing, mist splatters and that cluster of punched circles, arranged to remind me of dragon scales! More details on the Pink Paislee blog here. Thanks for popping by! I've got a load of CHRISTMAS scrapbooking goodies that have just been delivered so stay tuned for more inspiration! 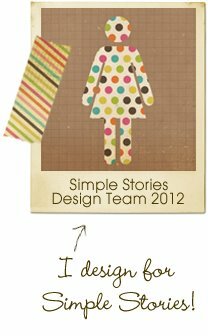 I've created a few layouts over the years with a patchwork-style background. So when my topic for the Pink Paislee blog this week was "Pinfluence" I couldn't go past a gorgeous pattern as my inspiration. The Story | Tummy time! I think I've done a similar layout for the older two kids! Those first few weeks when you pop a newborn on their tummy and they are so awkward and gorgeous! How I Communicated The Story | With the title and typed journaling. Photos | Taken with digital SLR camera and edited using Pic Monkey. Technique or Tip To Share | The patchwork background! 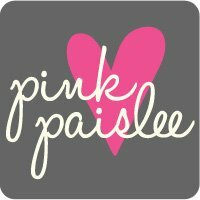 For more details, visit the Pink Paislee blog here where I share a few tips. I would love for you to follow me on Pinterest here! I'm often pinning patterns such as this and other inspiring things!